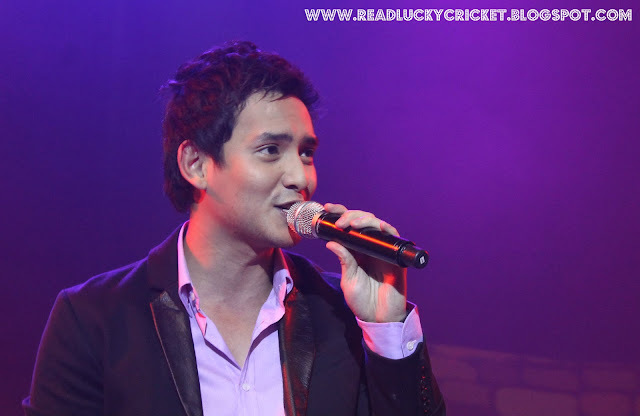 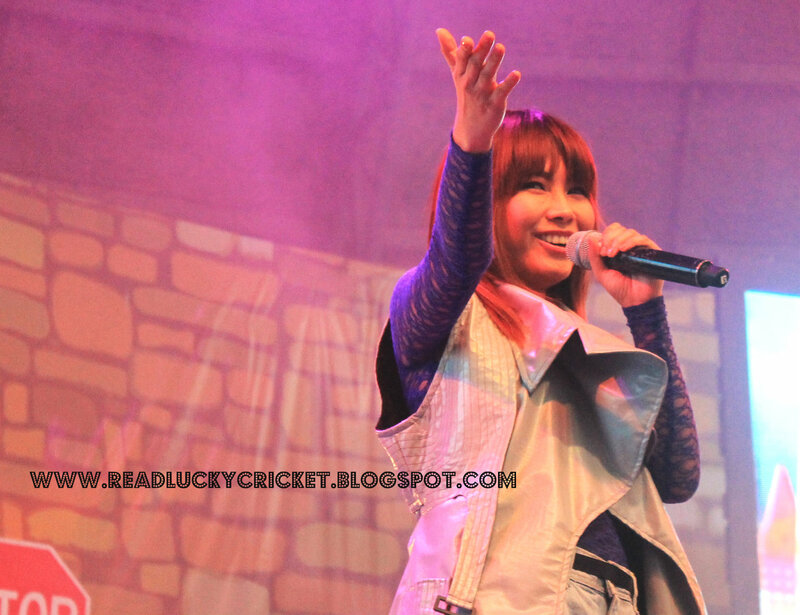 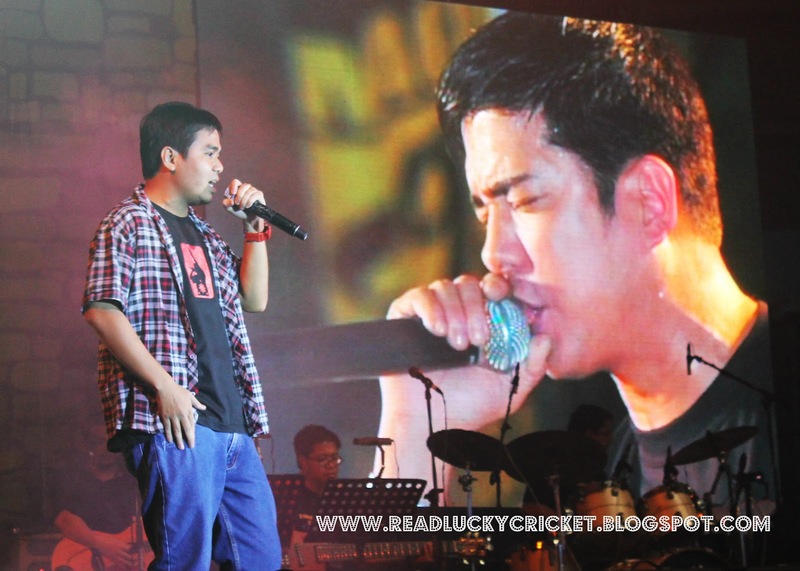 FM station 101.9 held it's 3rd annual Tambayan Original Pinoy Music Awards or TOPMA with an interesting mix of winners, grand production numbers (and outfits) by its resident DJs, a bigger venue and a more boisterous crowd at SM Skydome in Quezon City last June 30, 2012. 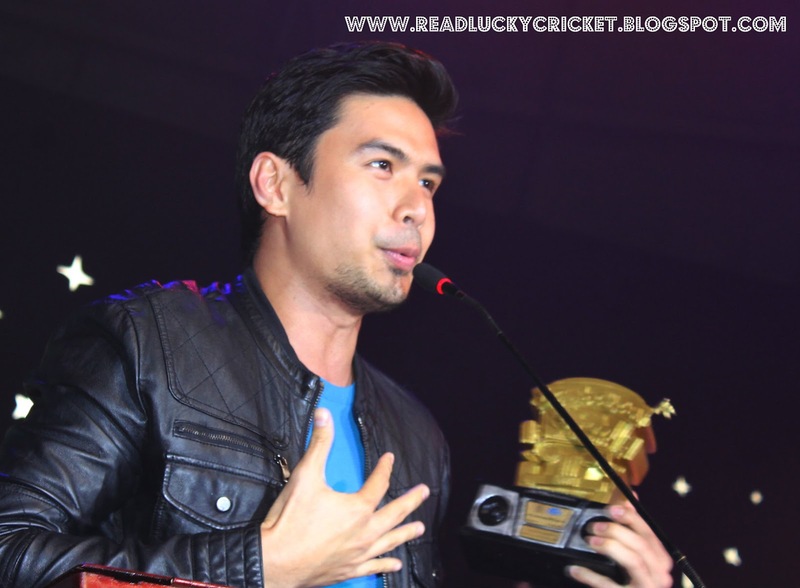 Comedian Vice Ganda, TV host, actress and now recording star Anne Curtis, talent search winners Christian Bautista, Erik Santos, Angeline Quinto, Jovit Baldivino, band Kamikazee, and newcomer Paula Bianca were the evening's big winners. 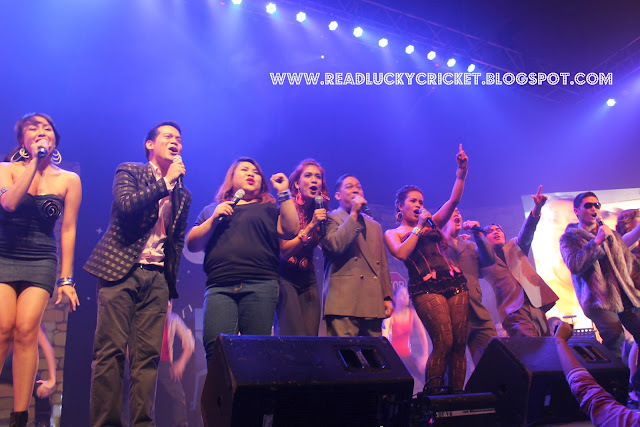 The biggest Filipino band in the 70's, Juan dela Cruz Band, meanwhile, returned to the stage to perform their biggest hits and receive the citation as "TamBayani Awardee". 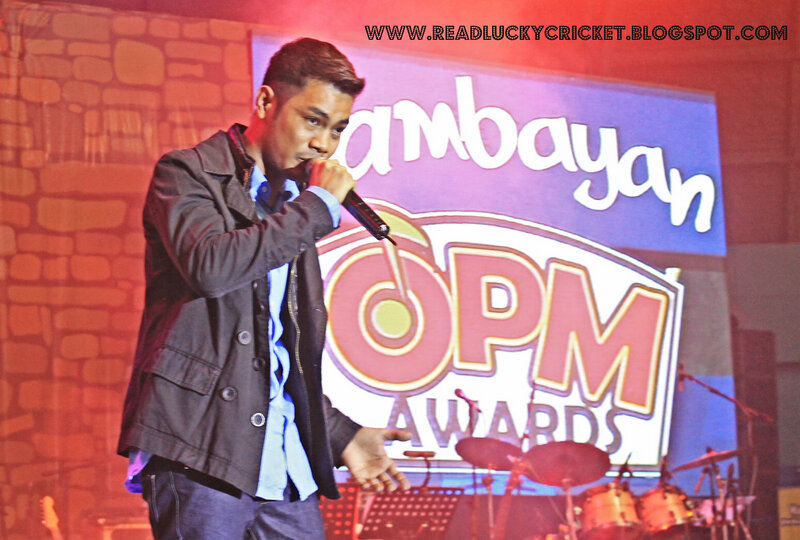 Overall, it was a humble awards show but could count as one of local music's best, aiming to revive the seemingly dwindling presence of original Filipino music in the airwaves. The categories might not be as technical as Awit or Katha Awards' but the 30% listeners' votes- 30% judges' votes- 40% TOPMA committee votes criteria used to determine the winners made TOPMA distinct, popular, credible and relevant. 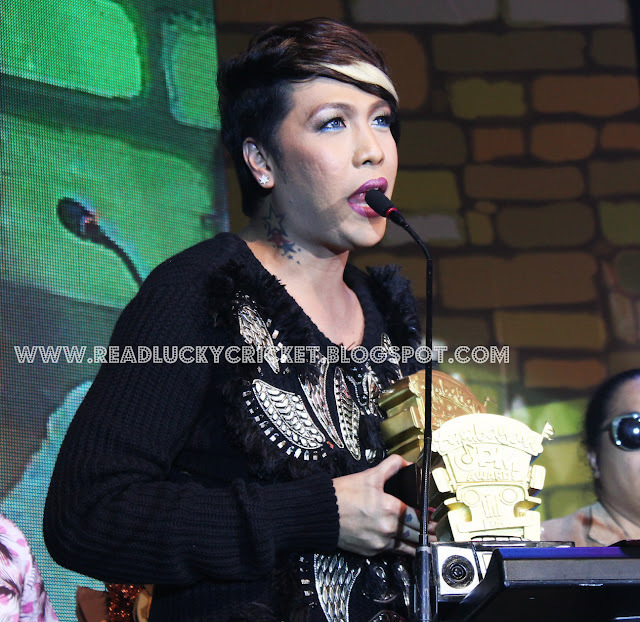 Stealing the night and getting used to it, Vice Ganda surprised the audience when he appeared on stage to personally accept his two trophies; "Phenomenal Entertainer of the Year" tied with Anne Curtis and "Novelty Song of the Year" for his song "Ayoko Na Sayo". 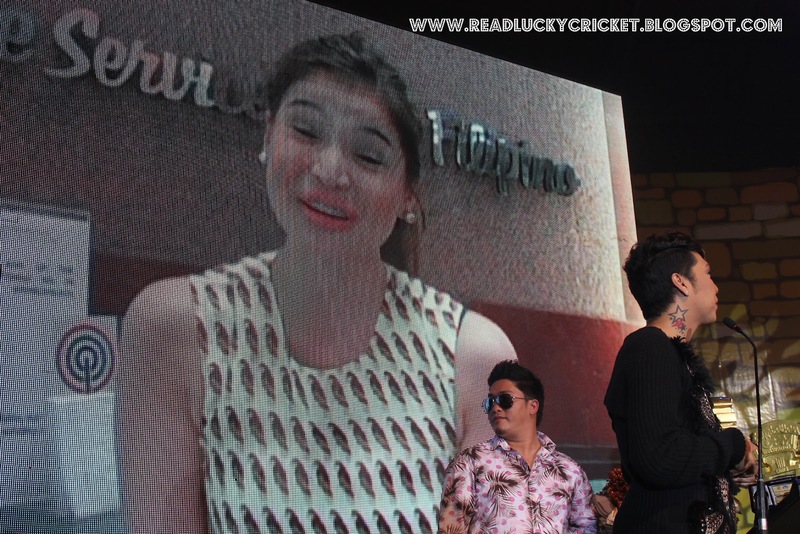 while last photo shows a taped acceptance speech of the other "Phenomenal Entertainer of the Year" Anne Curtis as Vice Ganda looks on. 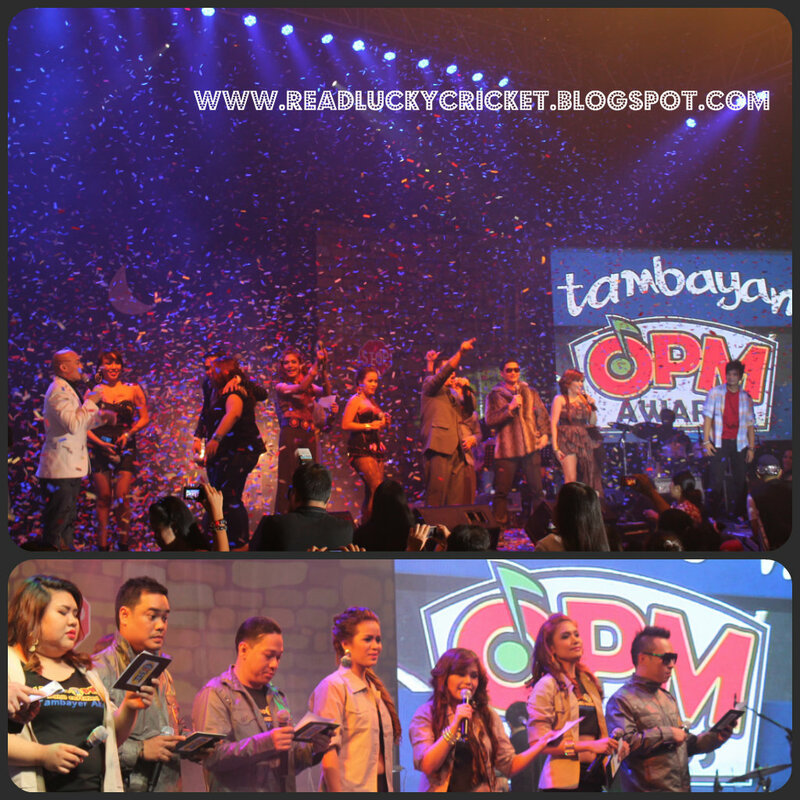 Kantamercial of the Year: Nescafe's "Sweet and Mild"
The DJs of Tambayan 101.9 FM hosted the show and also provided production numbers. 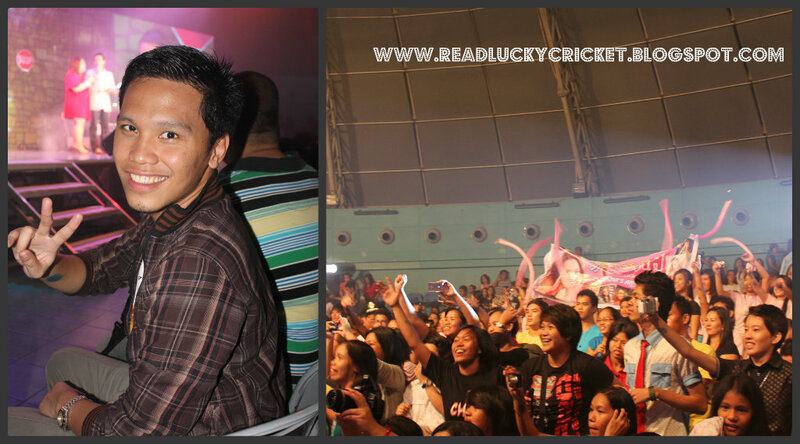 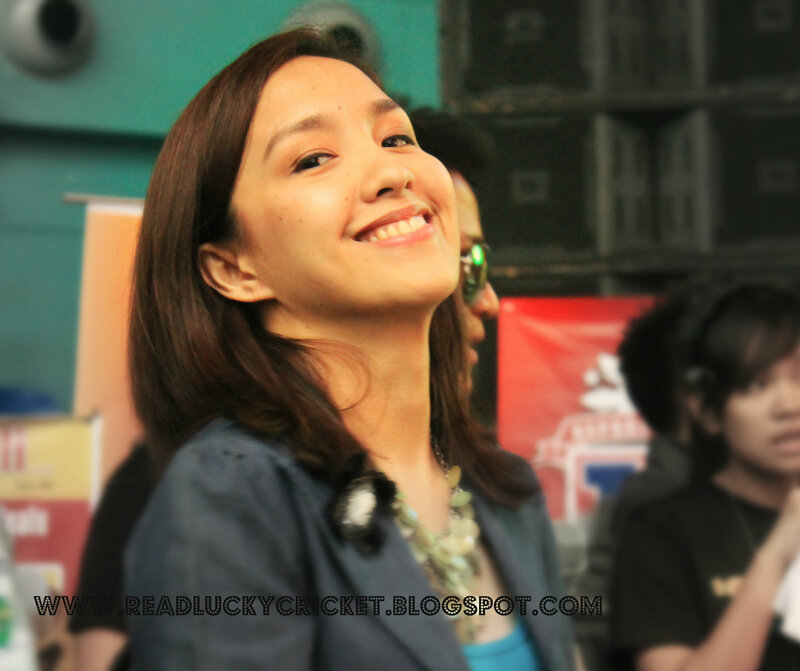 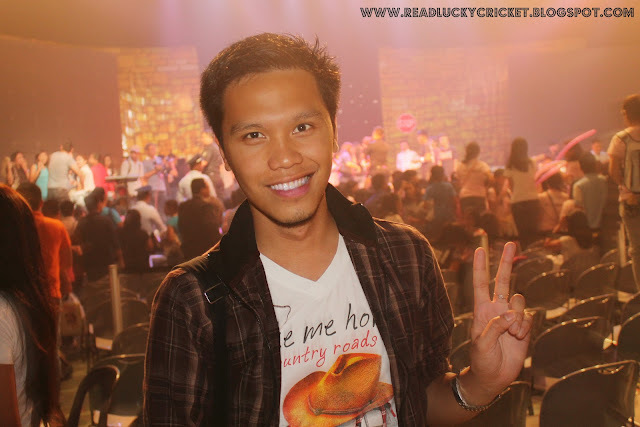 Photo below shows this blogger with the rest of the rowdy crowd during earlier's awards night at SM Skydome.